Imagine, if you will, an old west trading post and campground store filled to the rafters with wares intended to meet the needs of a community and its guests. As you walk in the door of our humble store, it’s as though you’ve stepped from desert monochrome straight into a technicolor film as brilliant blues and oranges and every color in between invite you further inside. Dorothy, we’re not in Kansas anymore. 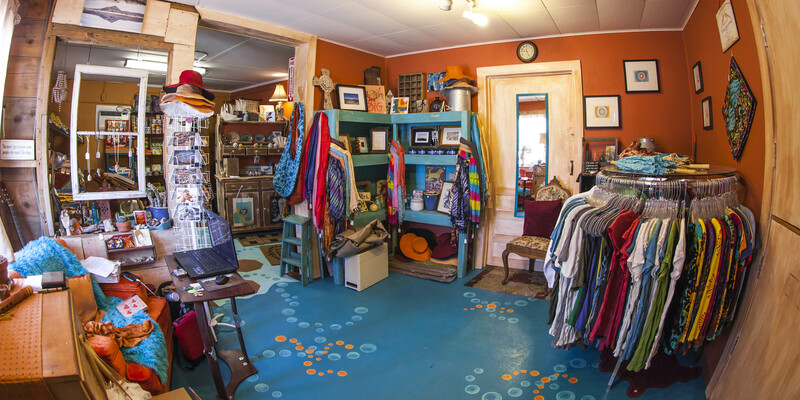 From grocery stock to camping gear, from clothing to doormats, from affordable local art to whimsical gifts, Tecopa Trading Post has something for nearly every vistor.